RatePlug's accurate monthly cost-to-own estimates are customized with rates and products from your personal lenders. And there is no cost to you to activate RatePlug. 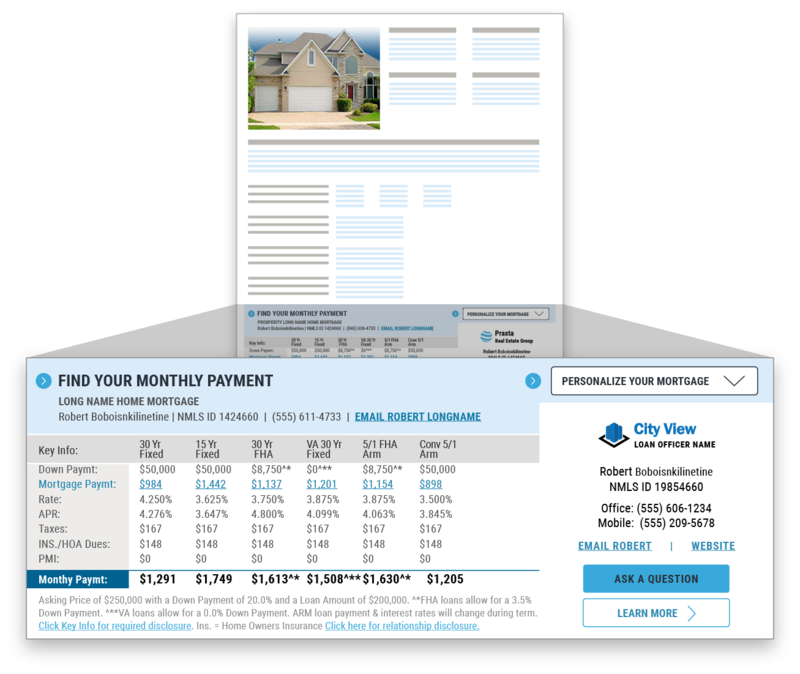 It is already included with your NORTHSTARMLS subscription. Simply activate RatePlug to get started. 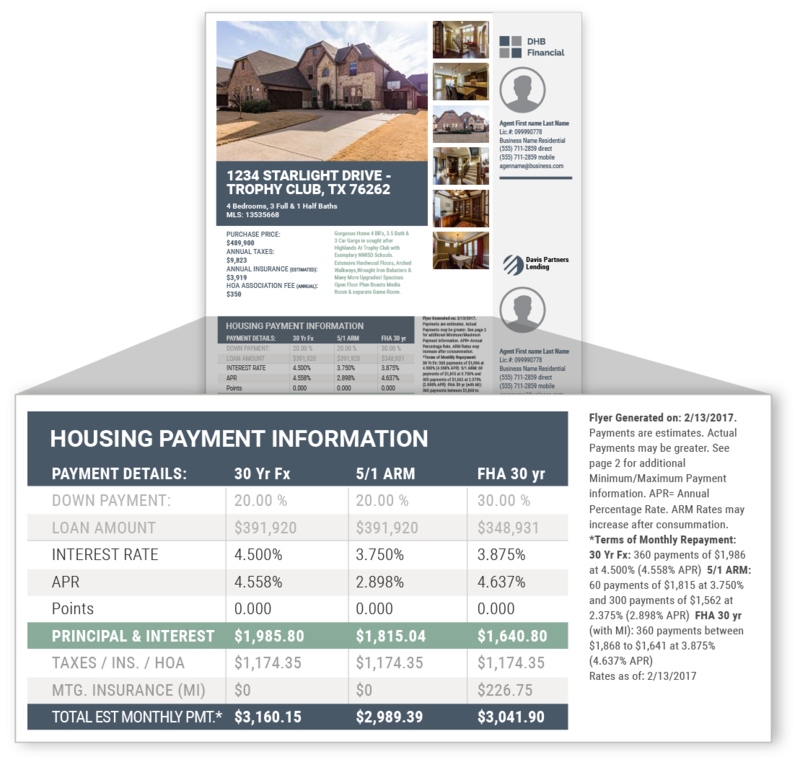 When you list a new property on NORTHSTARMLS, RatePlug also allows you to create custom flyers that display your lenders mortgage information.